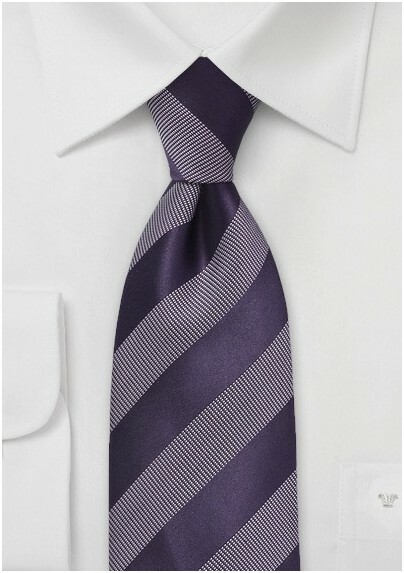 Create a cool and crisp look with this modern and masculine purple striped tie from the Luxury Division of the Cavallieri Fashion House. 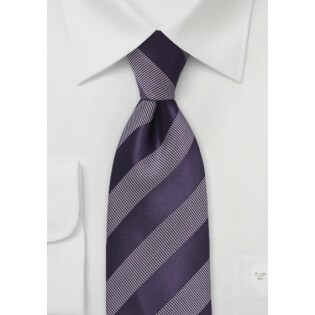 The dynamite hue of purple is remarkably versatile and pairs handsomely with both light and dark toned suits. Piece together the perfect summer ensemble by teaming this tie with a check patterned button down, a silver tie clip and broken in navy blue chinos. This chic accessory is crafted from the finest silk and is handwoven using a Jacquard loom.